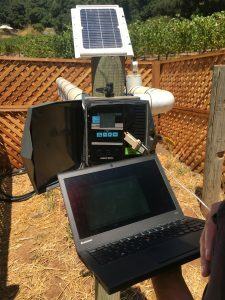 Vineyard irrigation systems, even in small vineyards, are either under-featured or overly complex, and most controllers are prone to problems. In the vineyard, risers get run over by tractors, drip hoses get chewed by coyotes, and drip emitters suddenly crack, plug, or simply pop off. In the process, a lot of water is wasted, and a lot of water intended for the grapevines doesn’t get to the grapes. Vineyards are typically irrigated by blocks or sections, each block segregated from the others for some reason – a change in grape variety, row spacing, slope of the ground, direction of sun’s arc, etc. Each block has a valve, and each valve is connected to a controller. Typical controllers are binary – they turn valves on and off. What if you could have a controller that measures and reports to your cell phone and laptop every drop of water that moves through the system, sends you real-time alerts anytime there is a leak, and compiles the usage data into useful logs and report formats available to view or download remotely 24/7? 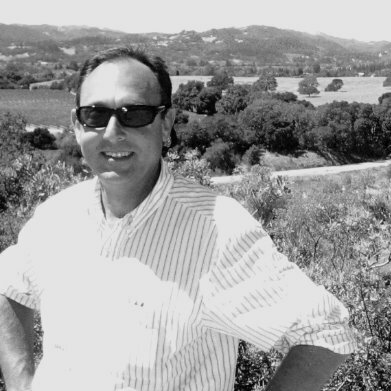 Last week, Roy Levinson, CEO of Galcon USA, helped me bring a Galcon unit on line for a ten-acre Syrah and Pinot vineyard near Kenwood. 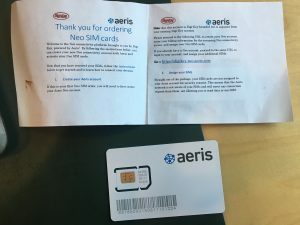 The process was simple – provision an Aeris Simm card. Insert into the Galcon unit, connect to the wireless network, program the controller from the laptop, and walk away. 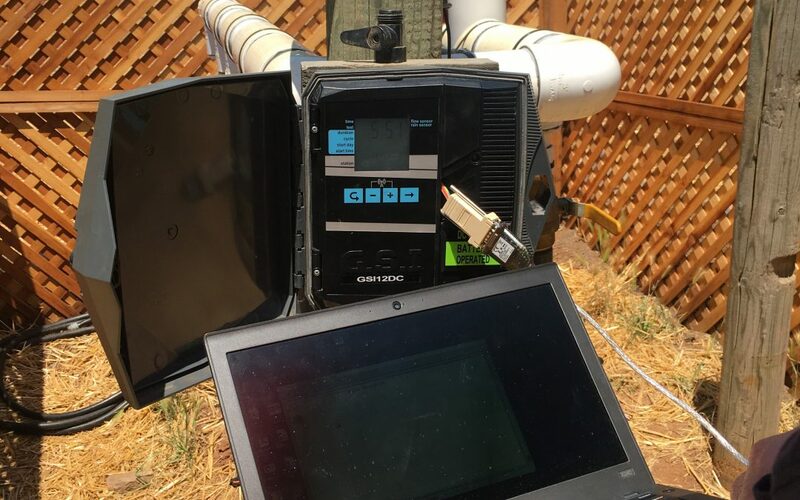 I now get instant reports whenever water flow exceeds planned flow (a leak), adjust irrigation from my phone in real time (heat wave), turn valves on and off from phone or laptop (cold front), and deliver reports on water usage to my clients. This is the power of information in modern farming! This is by far the best way to manage scare water resources that I have seen in my career.